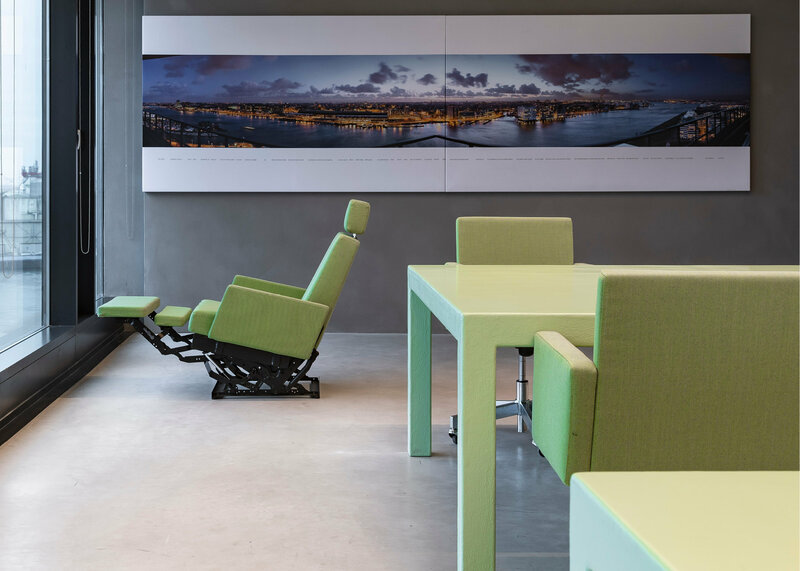 Rijnboutt wanted maximum attention for comfortable furniture for both visitors and employees. 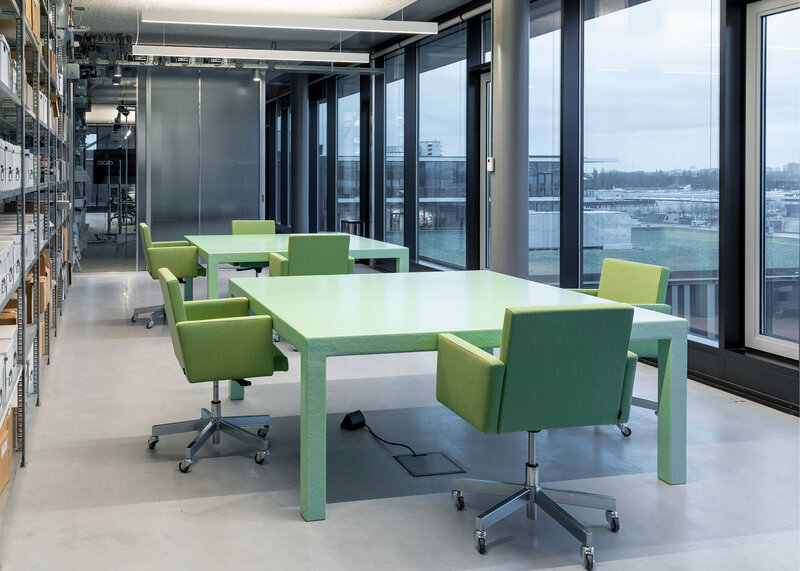 Project contractor Lensvelt thought along and supplied furniture that fits the robust location. 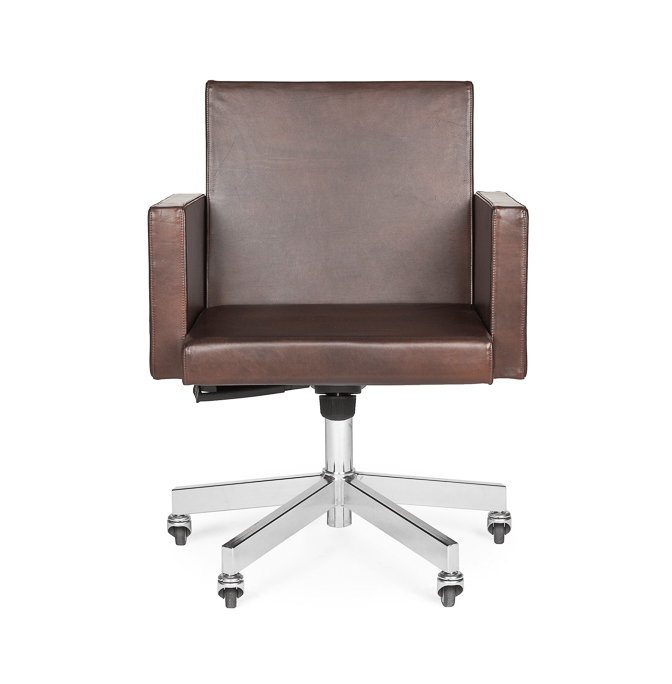 The sturdy AVL Office Chairs, upholstered in black leather and cow print leather, and the black leather-covered AVL Koker Chairs for the glass meeting rooms, fit like a tailor made suit. 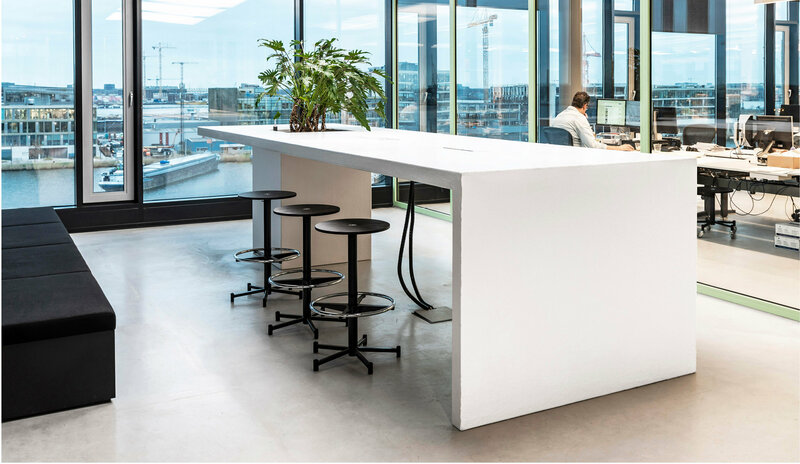 To match the predominantly black and white tones Lensvelt opted for a green and a blue space with a few idiosyncratic eye catchers: the AVL Workbench and AVL Koker Chairs. 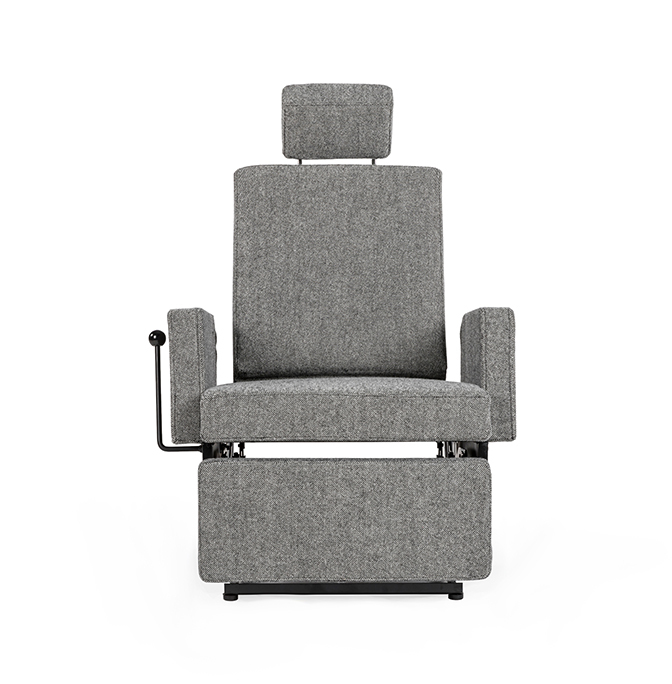 The AVL Lazy Modernist, together with the AVL SPR Cathedra Lounger, invites you to relax, enjoy the panoramic view over the IJ and get inspired. 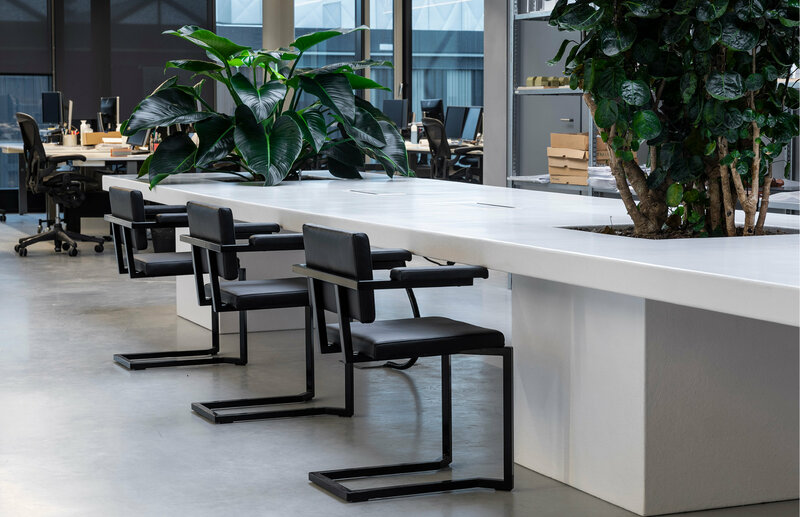 Rijnboutt designed large polyester tables with embedded planters, matching the AVL Lensvelt line. Piet Hein Eek’s round stools on wheels are also custom made. 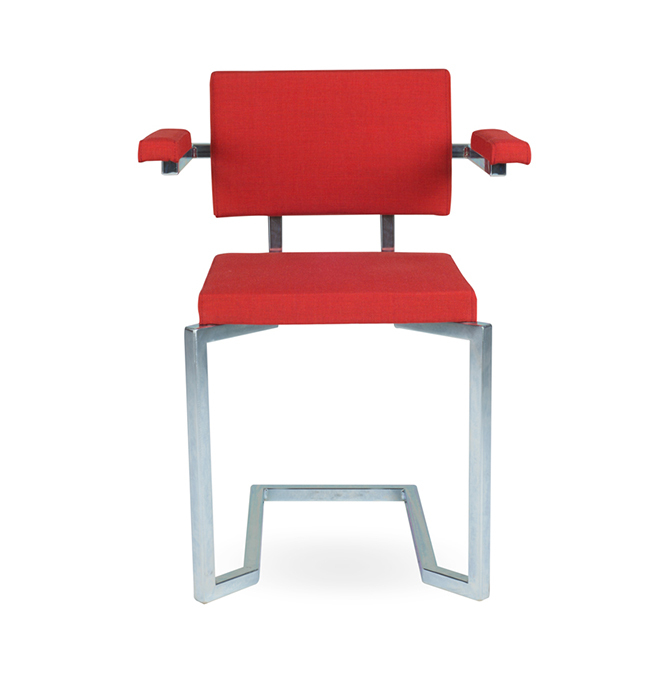 They can be stored away under the desks and can be taken out during brief office consultations. 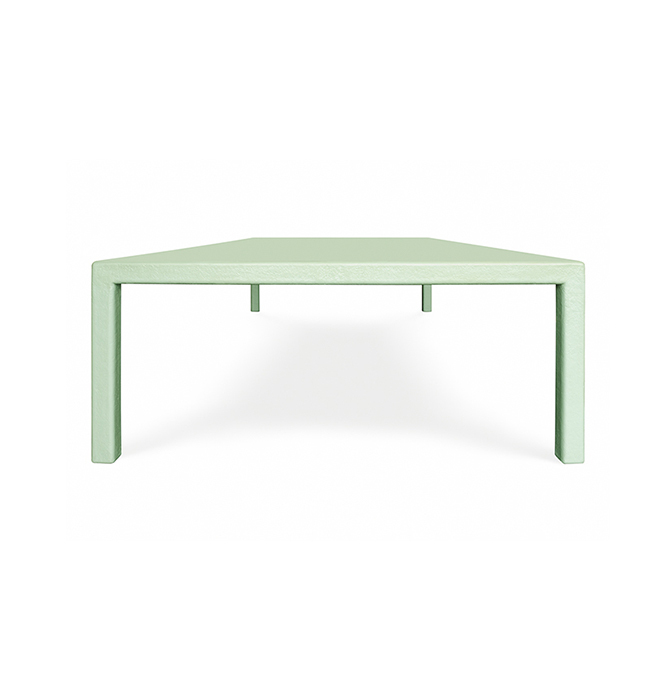 Lensvelt is an engaged non-design furniture label and project contractor based at the Herengracht in Amsterdam. Since its founding in 1962, Lensvelt has been offering architects and interior architects the means to make ever better interiors. Lensvelt collaborates with over 150 high-quality designers and labels.